A semi-rigid case designed for Elite. Features an embroidered and printed Elite logo. A string and cam cradle gives added structure and protection. 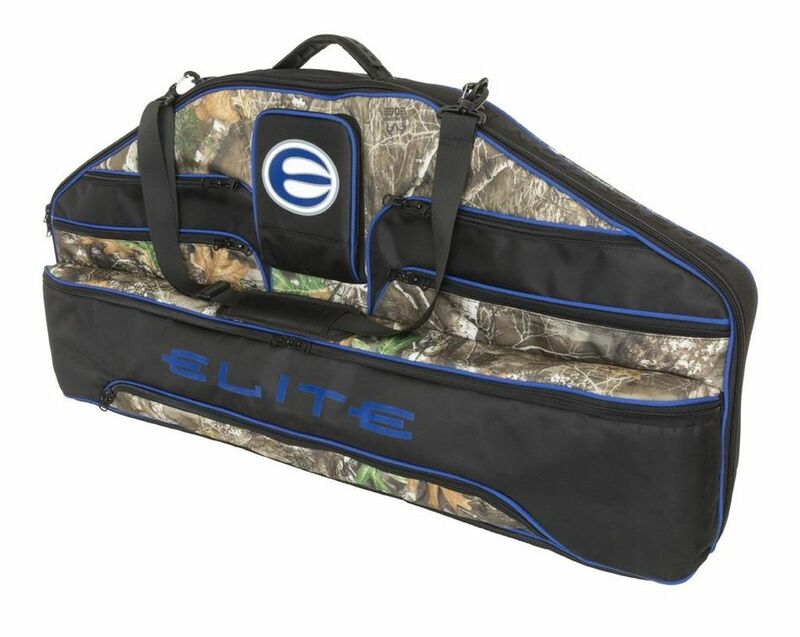 Outer pockets accommodate an arrow case or arrow tube and other archery accessories. Includes a detachable shoulder strap and padded carry handle. Features Realtree Edge camouflage. Internal dimensions: 38" L x 19" H x 3" W.